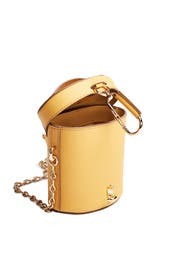 Sized down to petite proportions, this mini ZAC Zac Posen canteen bag, accented with gold detailing, is as charming as it is versatile. 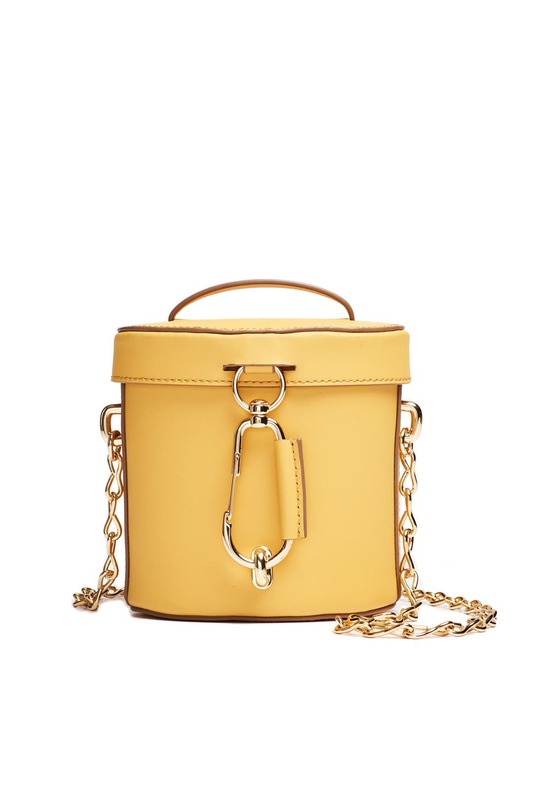 Honey leather crossbody canteen bag with large gold "belay" clasp closure. Flap opens to spacious interior. Crossbody strap measures 13.5". 9"H x 7"W x 7"D.
Love love love this bag, however my iphone barley fit which made it hard to close. So cute - the guy inspecting bags even complimented it! 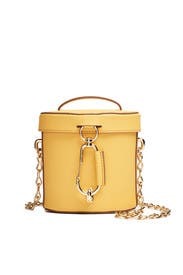 Adorable yellow bag. Too small for my large note cellphone, but would fit a normal-sized phone.